Avery Library wishes you Happy Holidays and a great New Year!! This entry was posted in Access Services, Avery Store on December 17, 2013 by Ted. Avery Classics and Drawings & Archives have contributed to the Grolier Club's exhibition on the history of the American Dream of home ownership. 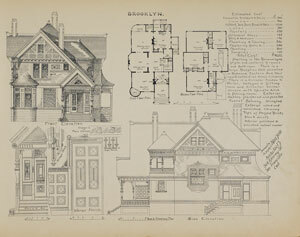 Over 200 rare books, periodicals, drawings, periodicals, and printed ephemera will show how the idea of “A Home for All” was marketed in the United States, first through eighteenth-century builder’s guides, then by nineteenth-century pattern books, and finally by twentieth-century house plan catalogues. Image credit: Samuel Newsom, Picturesque California Homes no. 2, San Francisco: S. & J.C. Newsom, [1887?]. Avery Classics AT290 N478 1887. 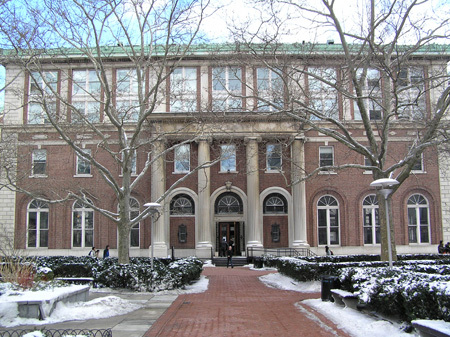 Avery Architectural & Fine Arts Library, Columbia University. This entry was posted in Avery Classics Collection, Avery on the Road, Drawings & Archives on December 2, 2013 by Ted.